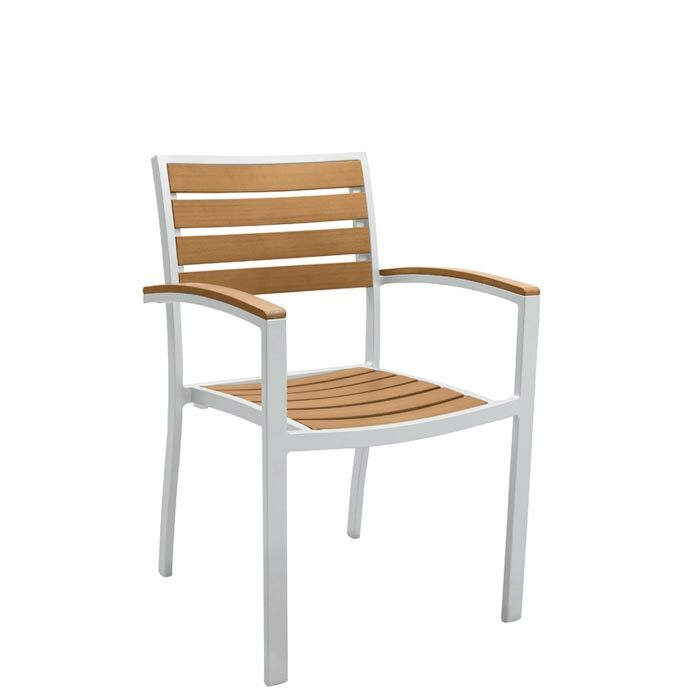 Jado faux-wood-slat patio chairs are versatile enough for any occasion, whether an elegant outdoor wedding or a wild pool party. The Tropitone® Valora™ Jado Dining Chair features desired qualities such as stackability, durability, and versatility. Designed to be practical as well as good-looking, Jado Dining Chairs stack six-high, allowing for easy storage. Jado Dining Chairs can withstand the elements, using an all-aluminum frame and rugged faux-wood slats in the seat, back, and caps for the arms. The sealed faux-wood surfaces make cleaning easy with just a simple wipe-down. The clean lines of Jado Dining Chairs combine sophistication with ruggedness, allowing stylish pieces to complement just about any décor in a variety of settings.